British East Asian actors Gemma Chan and Benedict Wong were among 200 people who protested outside London fringe theatre the Print Room in Notting Hill, amid accusations of ‘yellowface’ in the casting of its latest show. Exclusively white actors feature in the Print Room’s production of In the Depths of Dead Love, which is billed as being set in ancient China and has Chinese character names. Since initial criticisms of the casting in December, the theatre has apologised for “misjudging the offence some would take” but staunchly denied accusations of racial discrimination. Statements issued by the venue claimed the play does not tell a Chinese story and its reference to China is “abstract” and “folkloric”. 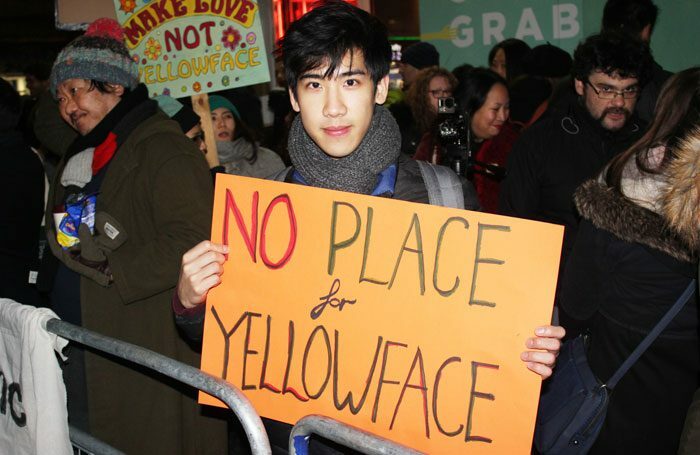 Chan, whose theatre work has included The Homecoming at Trafalgar Studios, attended the protest held outside the theatre in solidarity with other British East Asian artists. She said the Print Room’s casting decisions and subsequent handling of the issue “has to be seen in the context of an ethnic group that has historically been stereotyped, marginalised and erased from British stages”. 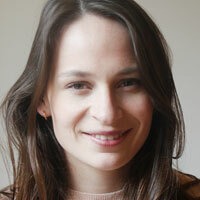 “I was kind of shocked and flabbergasted that this has happened. I think it’s so important that people’s voices are heard and I hope in future that a dialogue can be opened and it doesn’t have to come to this,” she added. Other actors who turned out in protest included Daniel York, who said he felt the theatre’s responses to concerns were “problematic and ill-judged”, but that he hoped the furore that had erupted would achieve awareness in future. “The ironic thing is, I’d say the last few years have been an incredible time. It’s never been a better time to be an East Asian actor, in the theatre at least, so it is disappointing,” he told The Stage. York later revealed that he had been verbally abused at the protest by a member of the play’s audience. The protest took place outside the Print Room’s home at the Coronet, on the opening night of Howard Barker’s play. Other performers attending the event described the situation as frustrating and belittling, adding that the theatre’s response to criticisms had “fuelled the disappointment”. “Even when opportunities are written for us, we still don’t get seen,” said actor Siu-see Hung. The protest was organised by director Andrew Keates, who has led criticisms of the casting since it was first announced. At the event, he said the theatre’s casting and subsequent handling of the criticisms had ignored an opportunity to “engage with an ethnic minority that is invisible in so many forms”. He added that he hoped the protest would encourage theatres and companies to think more about the decisions they make in future.